This past summer, between shooting two weddings in Europe, I taught a small Foundation workshop with friends Huy Nguyen, Sergio Lopez, Kelly Rashka, Susana Barbera, Zoe Lammin, Pedro Cabrera, Andrea Giraldo and Anabel Vargas. The third European installment dubbed FE3 was in the Gran Canaria Islands off the west African coast. No matter what size our group is, this workshop always has plenty of tears, laughter, fear and exuberance. It’s as exhausting to teach as it is to be a student, with long hours, unexpected adventures and critiques deep into the night. This is a gallery taken with my Olympus E-M1 sharing a taste of the place and the experience we had together. Later this summer Huy Nguyen and I will be teaching a wedding photography workshop together here in San Diego. Last year we did a similar workshop in Denver with a group of eight people and it was exactly how I would want a workshop to be if I was a student. With small, personal groups like this we can quickly, and sometimes emotionally, explore each and everyone’s weaknesses and fears. I’ve found that with ten or less people you can build a bond and level of trust that is both supportive and helpful when you’ve committed to improving your photography. There are so many workshops to choose from today. Many of them are one-day group shoots good for understanding one photographer’s approach but bad for expanding individually. I think putting the cameras down and putting what we do and how we do it under a microscope is a formula for big advances. So after many requests to do another workshop, we’re doing this two-day class again. Is this a good fit for you? The major themes of this class is wedding photojournalism, unconventional creativity and approaching each shoot fearlessly. Please feel free to email me if you have any questions. For more information please visit The Fearless Heart Workshop. 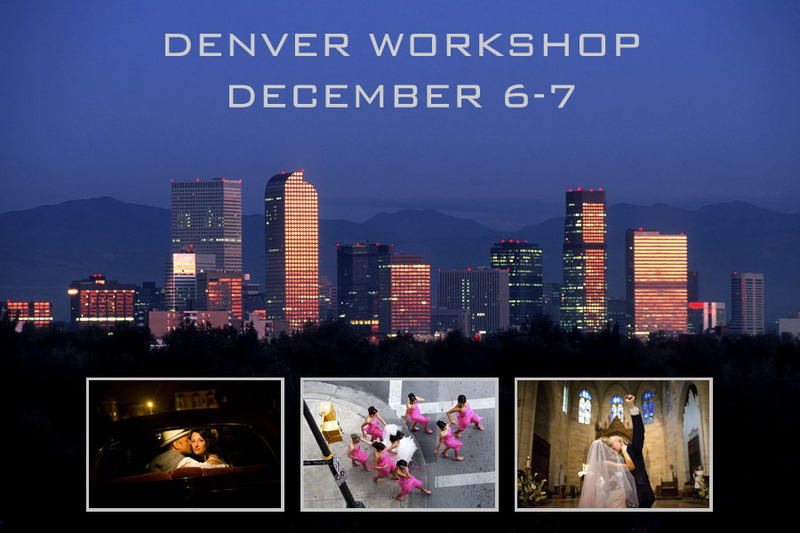 Join Huy Nguyen and I in Denver this December for a two-day wedding photography workshop. This intimate classroom experience is for wedding photographers looking to improve their shooting abilities overnight, while gaining a solid understanding of authentic wedding photojournalism. Huy and I have taught at workshops together in Austin, Dallas and San Miguel, Mexico. He brings many years of Zen-like teaching abilities and loads of accolades. I’m proud and excited to be teaching with him once again. For more information and to register for the workshop, please click here: Fearless Heart Workshop. Last month I spent three days with a small group of Mexican wedding photographers teaching the mechanics of composition and story. We also took a hard look at each photographer’s work learning how to improve by eliminating repeated mistakes. Lastly we went into action and spent a few hours shooting a real wedding on the beach at the hotel strip. Of course we also ate a lot of amazing food, laughed a lot, got little sleep and drank tequila. I love teaching and sharing my passion for perfection and capturing moments. 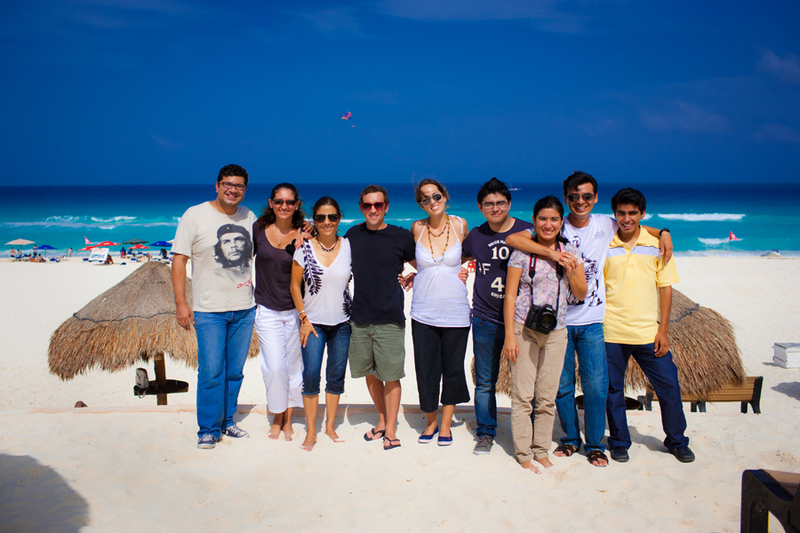 In this photo from left to right: Carlos Mendoza, Sonya Cano, Claudia Rodriguez, Brett Butterstein, Citlalli Rico, William Sánchez, Sara Herrera, Victor Herrera, Adrian Herrera. The month of February kept me busy as a faculty member for two, week-long photography workshops. The Foundation Workshop, started by my friend Huy Nguyen, is arguably the best photojournalism workshop designed for wedding photographers. Teaching has become a new passion of mine and I find it to be deeply rewarding. At the end of the week, when each student presents their work and speaks about their experiences, I end up crying just as much as they do. It’s an emotionally raw and personally transforming experience for everyone, every time. Here are some of my favorite images from each student I worked with both in Austin, Texas and San Miguel, Mexico. You are currently browsing the archives for the Workshops category. … He keeps a low profile, but is able to capture the true essence of the people and the spirit of the moment. A great eye for composition, a wide creative range, a professional, and pleasure to work with.